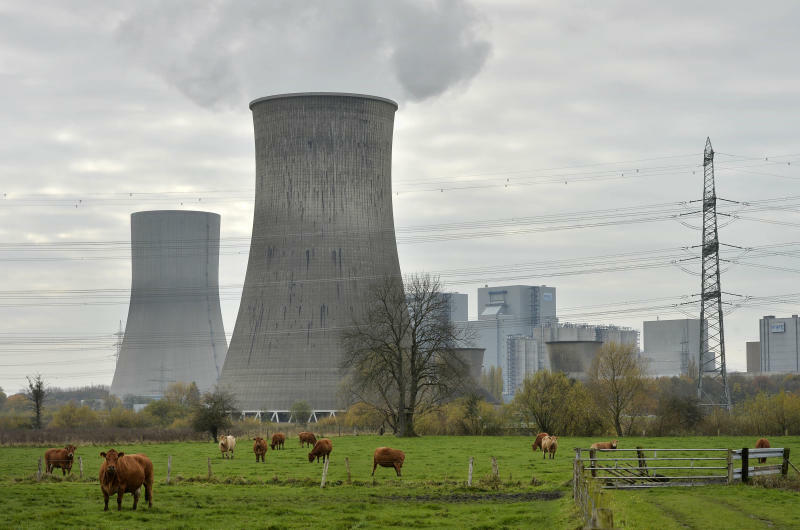 BERLIN (AP) -- The share of electricity generated from coal rose in Germany last year as the country seeks to achieve its ambitious aim of switching off all nuclear power plants by 2022. Industry figures published Tuesday show that bituminous coal and lignite together contributed 45.5 percent of Germany's gross energy output in 2013, up from 44 percent the previous year. Environmentalists criticize the increasing use of coal, saying it is a "dirty" source because of the large amount of carbon dioxide released when it is burned. Heavily subsidized renewable sources such as wind, solar, biomass and hydropower also increased their contribution to 23.4 percent, up from 22.8 percent in 2012. The share of nuclear power dropped to 15.4 percent from 15.8 percent.